This Website Is No Longer Active. : No reply to the evidence presented to Welsh Assembly Government First Minister Carwyn Jones.Therefore they admit their guilt and are "Condemned by their silence." No reply to the evidence presented to Welsh Assembly Government First Minister Carwyn Jones.Therefore they admit their guilt and are "Condemned by their silence." Hardly surprising but never the less disappointing.Therefore more damning evidence will be released in the next few days.Mark my words this cover up will end. I am pleased to announce that the Patriotic Campaign Group " Britain First " of which I am now the Coordinator for Wales have thrown their weight 100% behind the "Justice 4 Linda Lewis " Campaign. 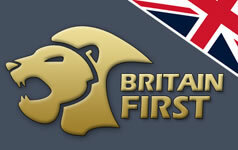 In the short time that the group has been up and running Britain First has grown to hundreds of members, over a dozen branches around the country, an enquiry list of around 5,000 and over 40,000 patriots in total on their database. Britain First will use the latest methods in activist and digital campaigning to fight for "Justice 4 Linda Lewis " and the many social and cultural injustices that are routinely inflicted on the British people who have, in effect, been left defenceless, voiceless and marginalised by our political leaders. Hardly surprising that they continue to close ranks. Good on Britain First they should raise the awareness of this injustice massively. They seem like a good idea with serious intentions. Look forward tp seeing more evidence released. I'm proud to be a member of Britain First especially when they help with things like this. Nice to have you onboard Wayne I will speak to you soon. With Britain First and Lawfull Rebellion coming to the fore the rotten politicians had better be worried. I know Carwyn Jones he must be a worried man which is very disappointing. What you have published so far is enough to hang them all. The rats must be panicking. As long as they stick together and no one breaks the silence they are untouchable! One day one person will speak out for Linda that will break the structure and the whole crime will be exposed. We have just been advised of your campaign by Christian Friends of ours in America. We are based in Orlando and will do everything we can to assist you. In Christ we will help and in Christ we pray for your success and the safe return into the family fold of Linda's daughter. 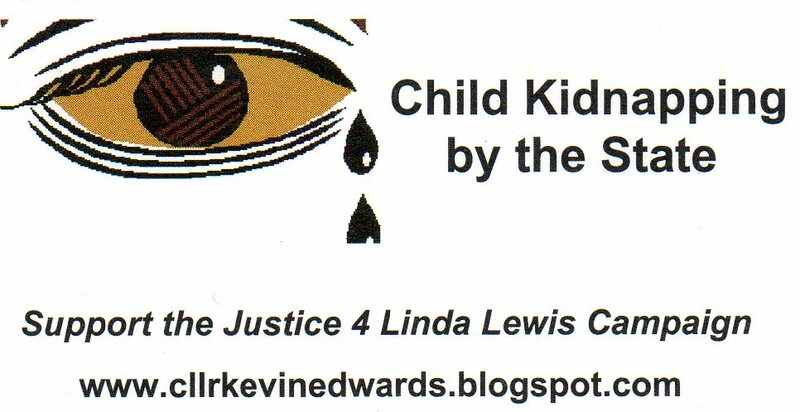 Please make sure that in the end the winner is the Lewis Family. They are not invincible and we support you across the pond in the USA. disgusted with Carwyn Jones not repyling on this serious matter. Carwyn Jones cannot say he didn't know about this case. Good Luck from the USA. We have been watching this case for a while. Kepp it going it's obvious that the WAG and the South Wales Evening Post are totally corrupt. Shocked you recieved no replym I think we should write to every National newspaper and ask them to support the injustice that has happened in this case. I think he has a duty as First Minister to investigate this case. I have been told that Sophia in't Veld a Dutch MEP is a honest woman perhaps you should make contact with her. Just publish the statements thar Dr Brian Gibbons had admitted to Linda that if she had given said medication to her daughter. Brian Gibbons has returned to practising medicine. Dr Dewi Evans is still a free man. I would not want Brian Gibbons within a hundred miles of me or any of my family. But that will soon be addressed. Some people will have a hell of a shock. Your Silence won't wash Mr Jones. 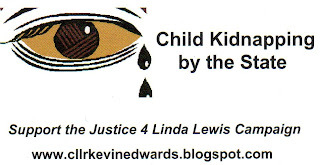 Well done Kevin, keep up the pressure on the state, its the only way to get real justice!